More than 1000 visits each year: heritage visits, company visits, craft workshops, urban walking tours, cruises, backstage visits... Enjoy our visits. The 35th edition of Heritage Days will be placed on September 15th and 16th 2018. Theme of the year: "The Art of Sharing". 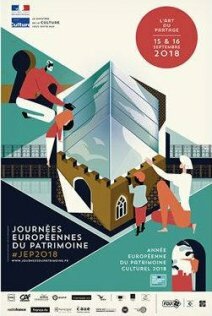 European open heritage days take place every year in september, a great opportunity to discover the outstanding heritage of Paris and Ile-de-France. Guided or self-guided tours during these open-day visits are usually free. Twelve million enthusiasts take part in the event every year, attending conferences, exhibitions, walking trails, concerts, workshops for the younger public… Discover the European Open Heritage Days program as well as suggestions for tours and visits. Heritage Days program in Seine-Saint-Denis is online. Click on one of the links below to check on the towns and sites of interest. If you are visiting with family, be sure to read our links on Heritage Days with children. On the occasion of Heritage Days, visitors are guided through the Réserves du Musée des Arts et Métiers on the theme of "Heritage of the century". Check here if you want more visits about French crafts. The Shoah Memorial in Drancy will allow you to understand the history of the building Cité de la Muette which had been transformed into an internment camp by the Nazis. Discover the inside of this glass and metal monument constructed by Massimiliano Fuchsas and the works of art that it shelters. In recent years, the “Réunion des musées nationaux” has participated in the European Open Heritage Days, exceptionally giving the public free access to its art workshops and their unique and ancestral savoir-faire. On the PSA Peugeot Citroën industrial site in Aulnay-sous-Bois. Do not miss out on the visit of the superb necropolis of the Kings of France. Open Heritage Days show the commitment for the preservation and enhancement of heritage. Enjoy your visits!